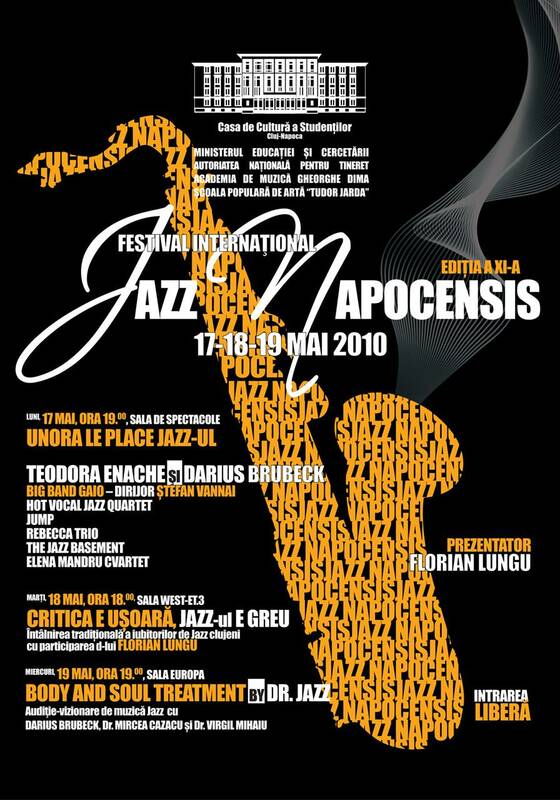 Intre 17 si 19 mai 2010 are loc editia a XI-a a Festivalului “Jazz Napocensis” la Cluj. Can’t wait for it. This entry was posted in publicitate gratuita and tagged cluj-napoca, Jazz, Jazz Napocensis by .marius. Bookmark the permalink.